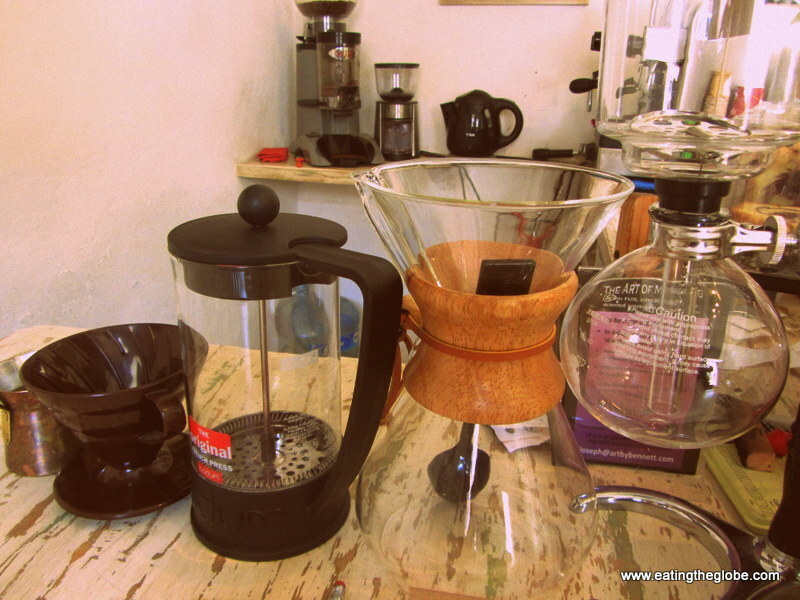 Today I finally found the holy grail of coffee in San Miguel de Allende. As someone who has made backroom deals with coffee farmers in Indonesia to buy green luwak coffee beans, so I could take them home and roast them properly, you need to know that I know my coffee. In San Miguel, I have found none that really impressed me….until today. 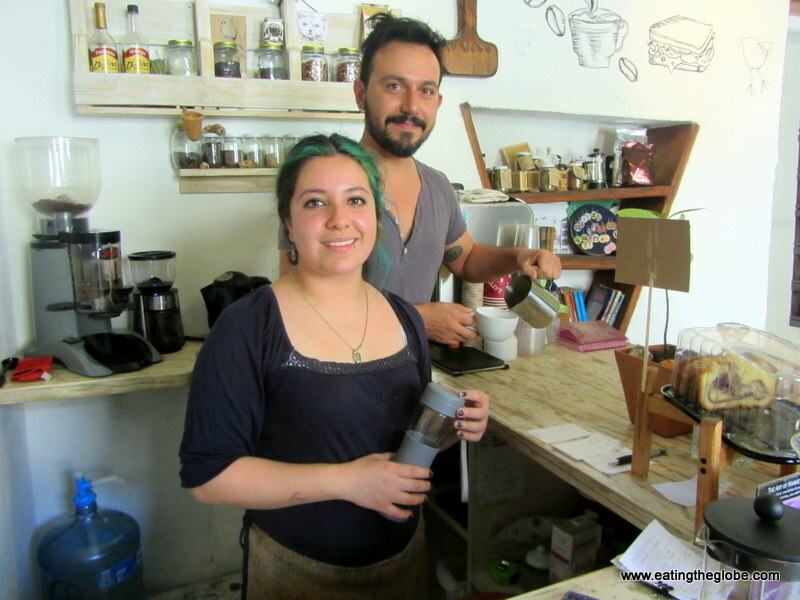 El Cafe de la Mancha is owned by Paloma and Christian, and they are serious about coffee (well, serious in a fun way.) They both went to coffee school in Mexico City and, get this, they actually studied coffee. 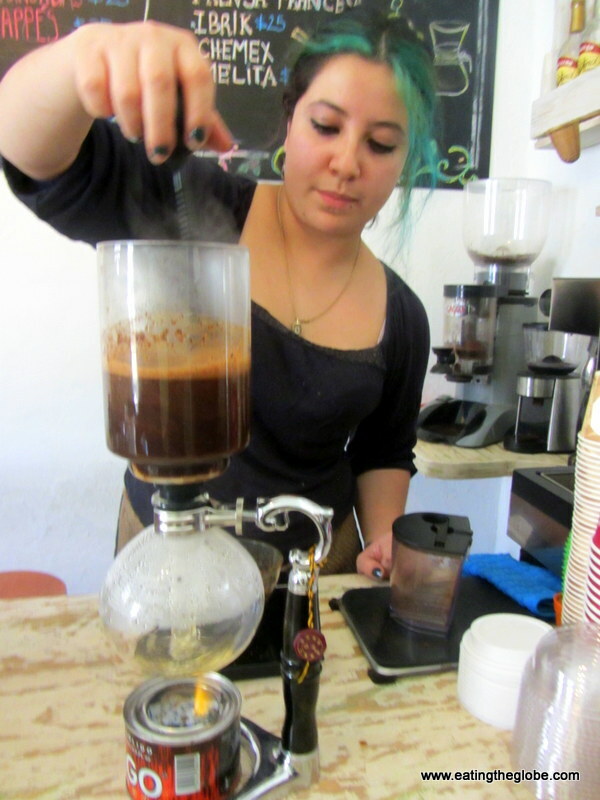 It is the only place in San Miguel de Allende that I know of where you have the choice to have your coffee made with a siphon, which to me is the only way to have your coffee made. If that doesn’t suit you, though, you can also have it made with a Chemex, in the Melitta pour-over, with a French press, or even in a Turkish ibrik. Now, that’s impressive! If you’re not a coffee fan, you can also get tea or smoothies as well. Did someone say chocolate chai? 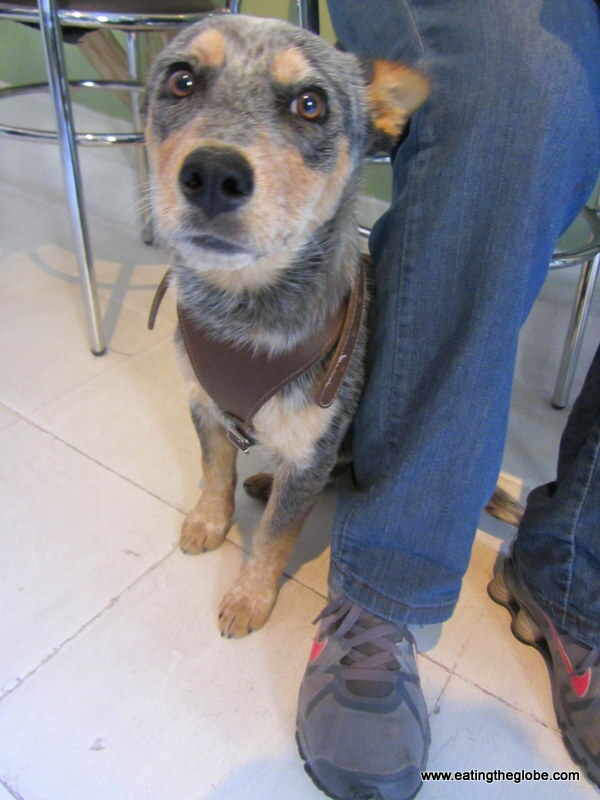 The locals love Cafe de la Mancha because they can bring their dogs! I loved the people watching there. Interesting people filtered in all day long, and the relaxing airy setting was a great place for me to get work done. Yes, they have wi-fi! Now, for the coffee….Did it live up to my expectations? Well, yes, it did. 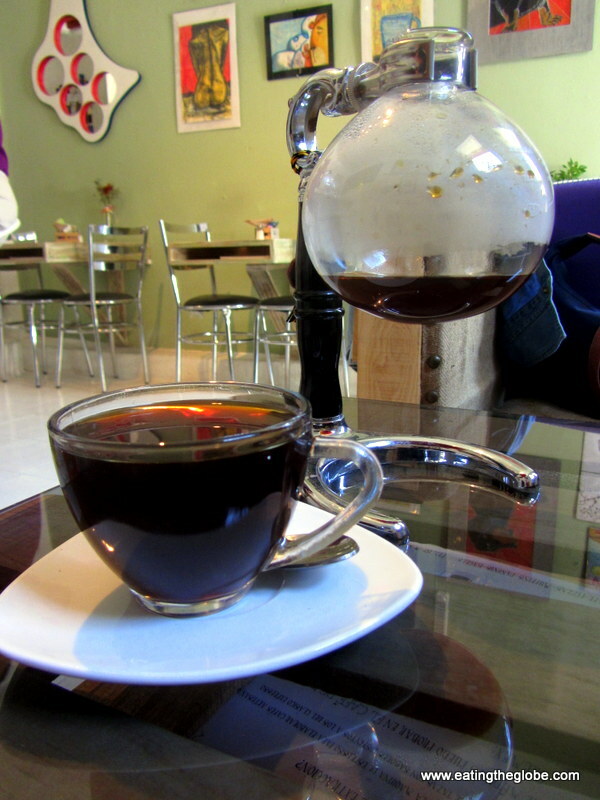 If you’ve never had siphon coffee, you need to try it now. First of all, siphon coffee is the most sensory way to have coffee that I know of. You watch as your coffee is ground the minute you place your order. The precisely perfect amount is put in the siphon. Fire is used. Not an electric coffee pot. Not a stove burner. A primal sizzling flame is making your coffee. Liquid shoots straight up refusing to obey that pesky law called gravity. Coffee and liquid are stirred together mingling the elements just right. Gravity wins in the end as the elixir whooshes back down. And the result? A cup of coffee with perfect acidity and balance. A cup of coffee that’s so delicate that you can drink it without milk. A clean and crisp cup of coffee that makes you ponder where it came from, who the farmers were that grew it, a cup of coffee that begs you to know it. 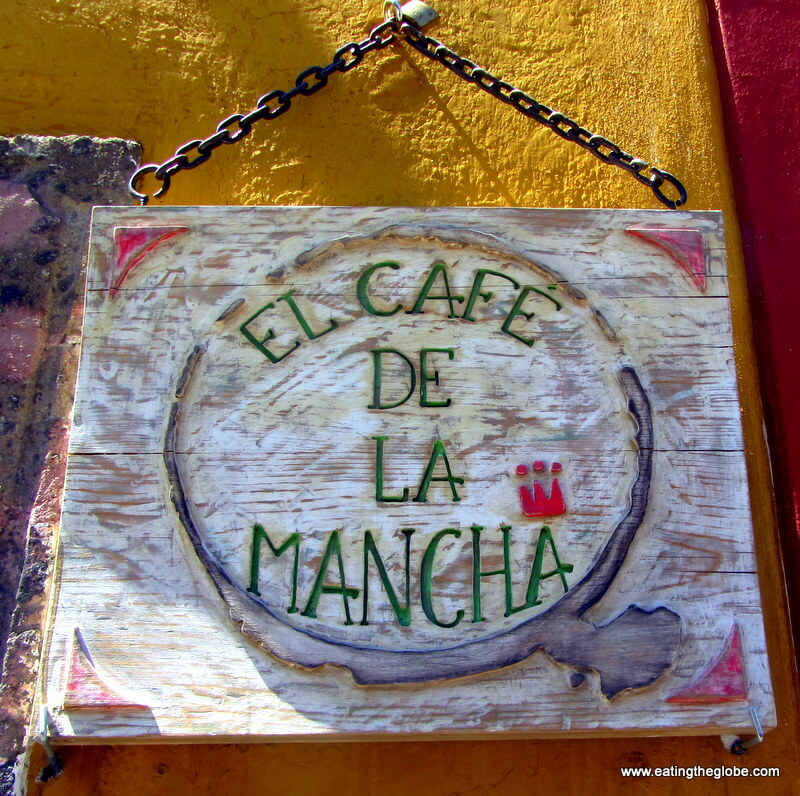 Yes, the best cup of coffee in San Miguel de Allende. Without a doubt. Cafe de la Mancha, you’ve done well. 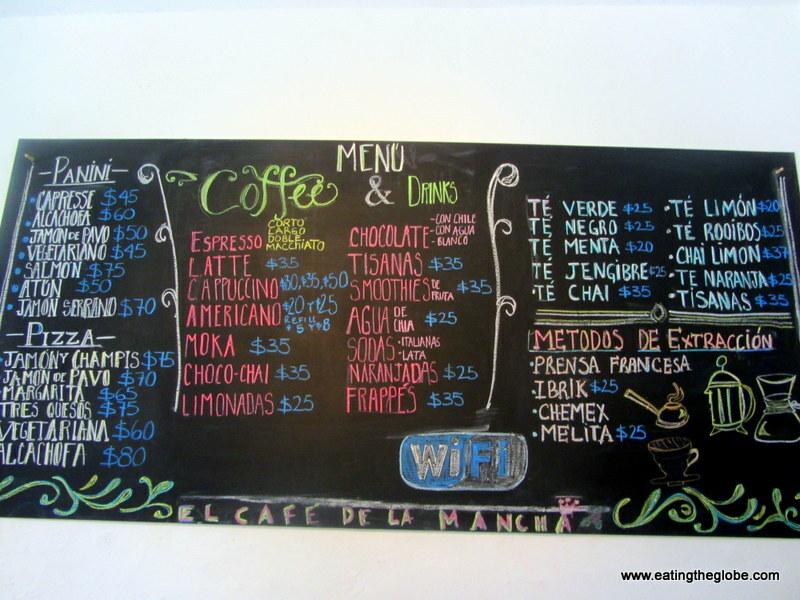 El Cafe de la Mancha is located at Recreo 21A and their phone number is +52 415 152 7930. Update: While I still really love El Cafe de la Mancha’s coffee, my new best cup of coffee award goes to Cafe Oso Azul. 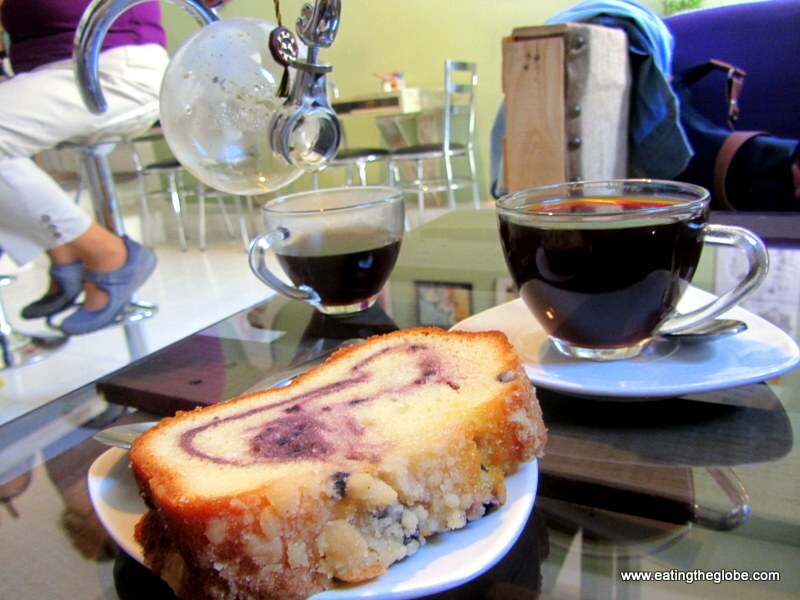 6 Responses to "The Best Cup Of Coffee In San Miguel de Allende"
I’m glad you found some great coffee. It looks and sounds delicious. Mmmmmmmm! Thanks for sharing. I love coffee, but I’m a sucker for a chocolate chai. And that coffee cake looks delicious. I love that you can bring your dog too! I can’t start my day without a good cup of coffee, but having somewhere nice to sit to drink it – and more importantly – having some nice people to talk about coffee with really make the day great. I just now saw this post. I live in San Miguel. I have an appointment in 1 1/2 hours two blocks from this cafe. I am on my way out the door NOW… to head you-know-where. Thanks Valen!